The Apple App Store is a home to more than 2 million apps. Unfortunately, not all iOS apps succeed in attaining their purpose that is- ‘being downloaded’. Studies show that 80 to 90 percent of all downloaded apps are used once and then eventually deleted by users. 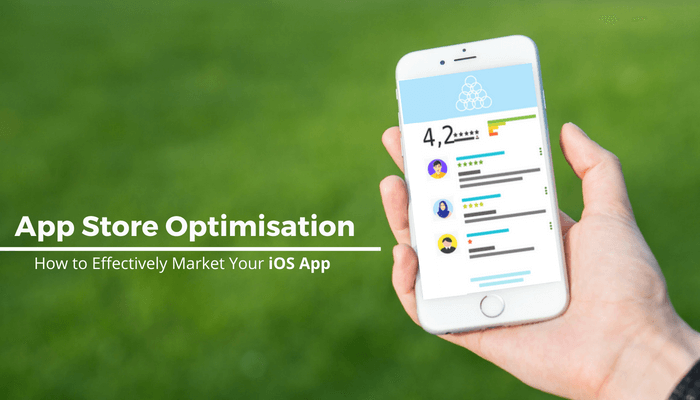 In order to be able to rank in the leading app stores, and get your app downloaded, an effective app marketing technique called App Store Optimisation is a must for app developers and app owners. 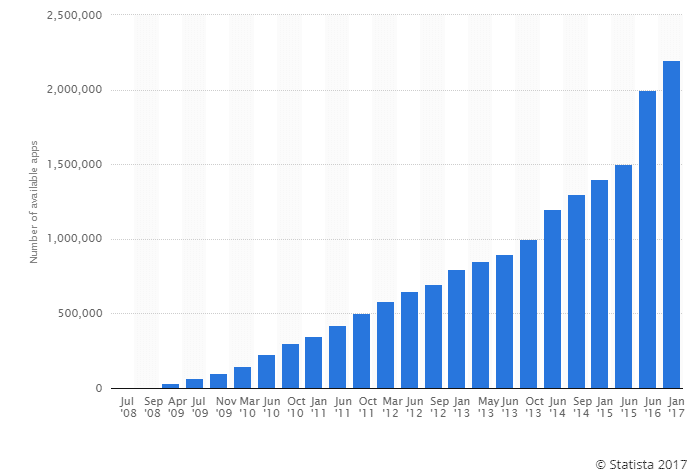 The following graph shows the number of available apps in the Apple App Store ever since it was first launched in 2008. 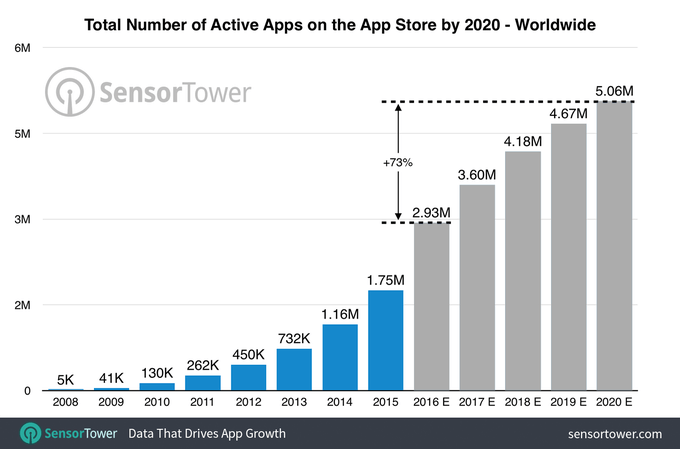 In fact, Sensor Tower already predicted that App Store will grow up to double its size by 2020 reaching a whopping 5 million apps. The success and failure of any app depend on whether or not it impacts the user in a way that he is compelled to download it. Most of the traffic that you are going to get on the download page of your app would be coming from the users who simply browse through or search within the App Store search engine. So how do you make them find your iOS app? App Store Optimisation is the process that increases the visibility of your mobile app in the app stores. In many aspects, it optimises mobile apps just like SEO. It pushes your app on the top and makes it rank higher in the app store search engines. Thus, it is easily discoverable and the users prefer downloading it. Why do you Need to Optimise Your Mobile Apps? According to research firm Forrester, 63 percent of new mobile app installs originate from search results. This statistics makes it all the more clear why ASO is becoming extremely important for the success of an app. ASO increases discoverability of the app thereby increasing app sales. With great icons and screenshots, it creates an indelible impact on the mind of the users which further increases its familiarity. In the coming section, we will focus on the 7 components of ASO that need to be taken care of, in order to increase your app’s visibility and ultimately rank higher in the Apple App Store. How to Increase your app rank in Apple App Store? Sketching out the right target audience is a critical step for the success of any app. Without acing this step, rest would simply not work for you. How would they describe your app? Why would they download your app? What is that one thing that gives you an edge over your competitors? Try to think like your target audience; that’ll give you a better understanding of their needs. 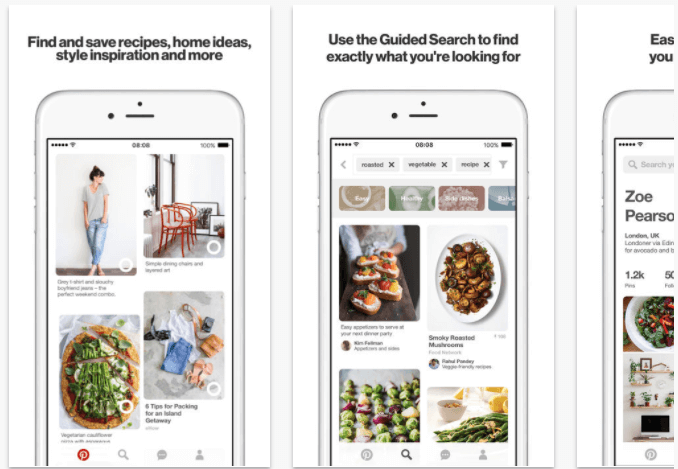 Since maximum users download and use apps through searching and browsing the app store, your prime attention should be on keywords when you’re aiming for more downloads. From the title to the app description, keywords walk along the app for good. Let’s find out how we decide which keywords are best for your iOS app. Pick the keywords that are relevant to your app, have low competition and high search volume. Apple App Store allows a keyword limit of 100 characters, which means you can only add a limited number of keywords, however, there is an awesome trick that you can use to extend this limit and benefit from adding more keywords. You can do this using app store localisation. App store uses various languages in every market. For every language, there is a limit of 100 characters. Suppose you published your app in US app store market where people speak English, Mandarin and Spanish, you can score 300 characters. The good thing is you can use english keywords in all the three or whatever your preference is. Tools like Keywords Suggestions, Google Keyword Planner, Google Trends and UberSuggest are free of cost and help you find relevant keywords. Another creative way is by binge reading the reviews of apps similar to yours and finding out the intent of the users. 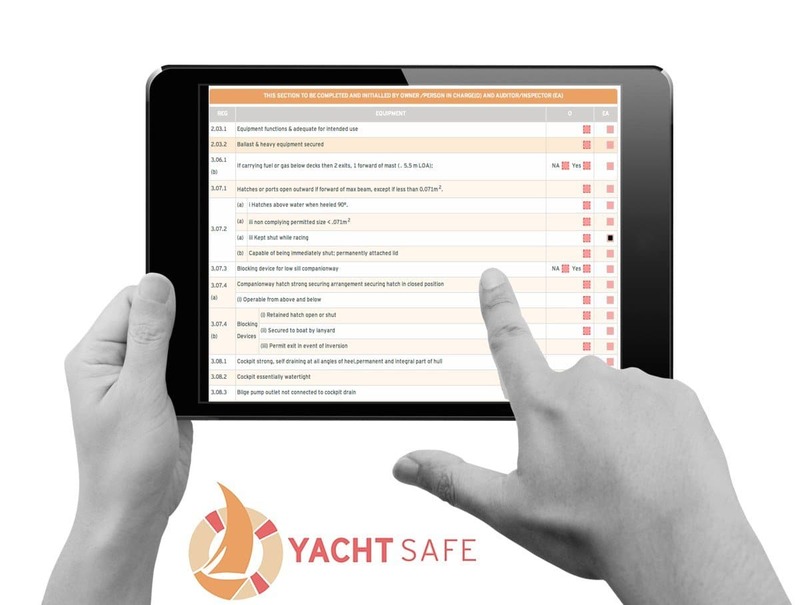 Observe what they are saying about the app, what issues are they facing and how you can solve it with your app. It is also suggested to pick low ranking keywords as the higher ones already belong to the competitors and you have little or no chance to rank among them. Using long tail keywords can help you get an edge over your competition without having the need to vie for high ranking keywords. Also, long tail keywords are said to convert better. Length: iOS allowed 50 characters for the app title in the past, but with the release of iOS 11, only 30 characters are allowed now. Pick a name that is catchy, specifically points out what your app does and is easy to spell. Embed your keywords organically in your title & avoid keyword repetitions. The algorithm will thus rank your app higher than other apps using the same keywords. 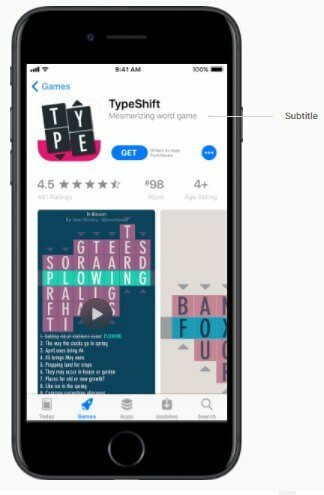 The iOS 11 also introduced the option of adding subtitle which is also limited to 30 characters that can be used to offer your brand’s USP. 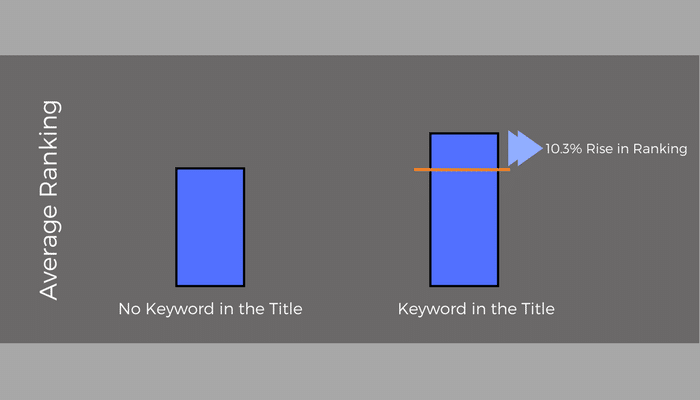 Keyword Position: Try placing the stronger keywords at the beginning of the title. The logic behind following this practice is that an app name is cut after the 25-50th character (according to screen size). If your keyword is seen in the very beginning, it can increase your chances of download. Updating: Keep optimising your app name with changing rankings of keywords. App Store is dynamic and so should your titles be. Change the keywords that are not ranking your app in the App Store. The app icon is the first visual that a user sees when he comes across your app. Make your app’s first impression count. Stick to the dimension standards of the App Store. It goes without saying that keep your icon unique, appealing and simple. Check out the attractive icon of Slack. A good icon should have a long-lasting impact on your user’s mind. Pick the colours keeping in mind that the icons stand out in any background. The screenshots are the next important visuals after the icon. The screenshots should not be haphazardly placed. They should have a certain flow that tells a story. The first screenshot should focus on telling the primary features of the app. It does not include any additional text or elements other than the screenshot itself. It means that the screenshots are self-explanatory of the app’s functions thus need no other text. These type of screenshots are preferred in two cases, one is if your app is popular enough that it needs no introduction or your screenshots are clear enough to tell the app’s functions. These types of screenshots are the ones where the app is shown on a device. 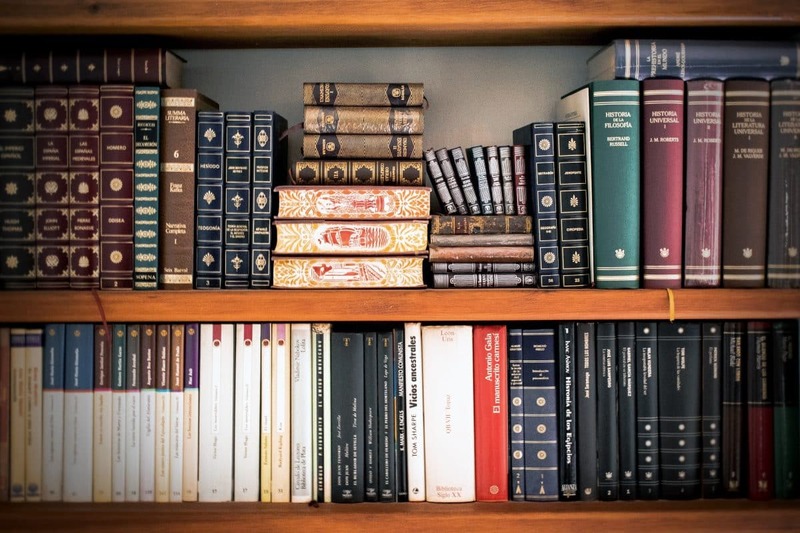 They are limited to one to two lines of textual description, The focus on describing an app’s functions in the most precise and articulate way. The screenshots can be edited with various tools such as the Photoshop. You are free to use your creativity and wordplay to narrate a story through your screenshot. 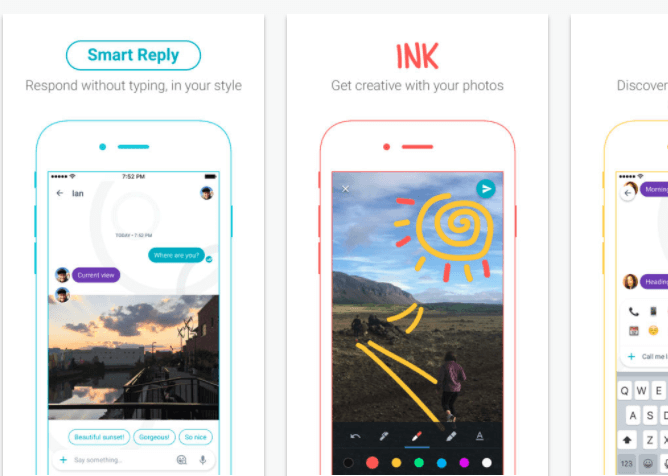 These are those screenshots that show user’s hands navigating the app or illustrating how the users can interact with the device. 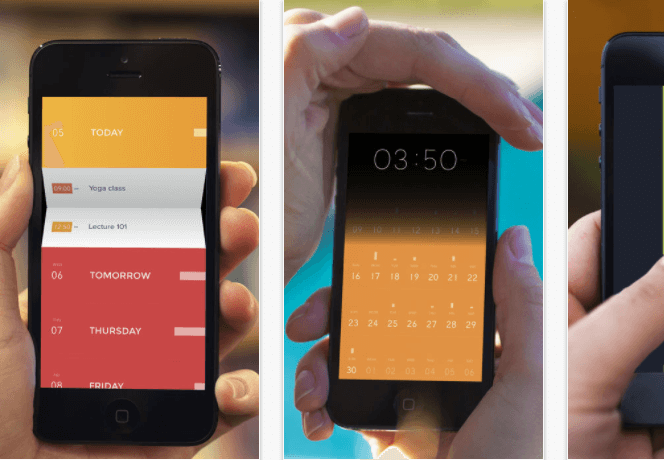 Use this kind of screenshot only if you feel that including user’s hands will improve your app’s presentation. An important point to be noted here is that the hands that are used in the pictures must be visually attractive for enhancing the look of the screenshots. The other ways to enhance your screenshot experience is by using short videos, having various combinations of screenshots for selecting the perfect one for your app through testing and trying localised screenshots for some markets. An app description is your chance to convince the users that your app is useful for them. Technically put, it is an App Store optimised explanation of your product. Reviews: Provide quotes to all the reviews that your app has got. In case it has been awarded, mention the details of the award and why you have earned it. If you do not have any of then, you can include relevant reviews by regular users. Body: You can go all in with the details of the app in this section. This is the right place to add keywords (no stuffing of course). Do not exceed this more than 2-3 paragraphs. Features: Enlist about 3 to 7 features of your app with not very long descriptions of them. Position the most striking features in the beginning. Every line should begin with a different word and should be either a noun, adjective or a verb. What’s New: All the updates regarding the latest versions of your app and new features that you’ve added go here. Do not forget to write the sentences in gerund. Constantly keep improving your app as you receive customer feedbacks. Regular updating also ensures that it is seen by the App Store and customers as a user-centric app. With every update, your reviews and rating increase (however it does go low initially as it resets each time you update) than before and definitely leave you with a high-end app that keeps its users satisfied. The App Store has its own algorithms for ranking apps and never discloses how it goes about it. But what we do know is that ASO does influence these rankings. 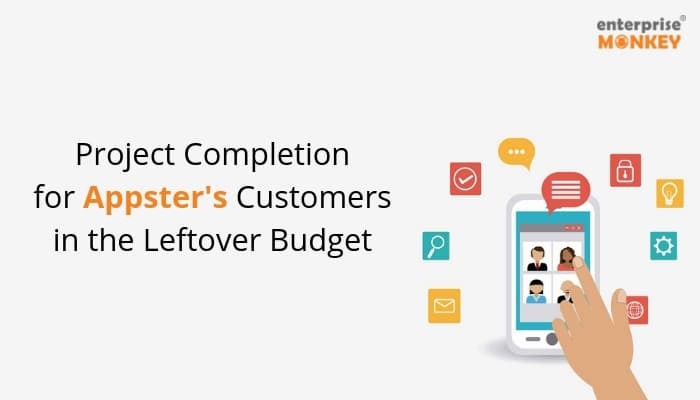 It is a long-term solution for your app’s visibility and only rewards after steadfast efforts. However, it is the best method to drive organic downloads on your app. After all, ASO focuses on optimising for humans who are ultimately the end users of your app!